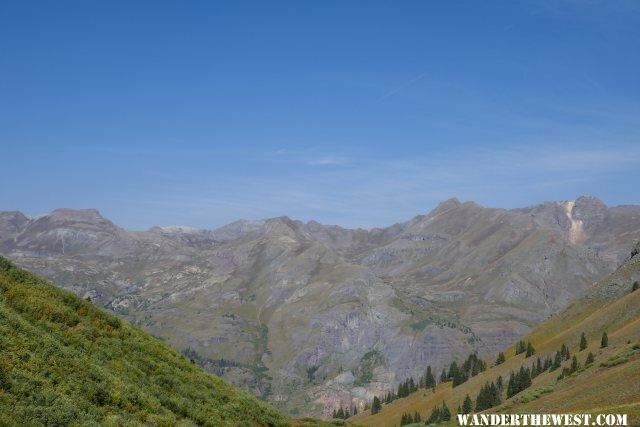 Fall 2018 western trip, Highland Mary Lakes loop trail view, East of Silverton Colorado and up Cunningham Creek Road. 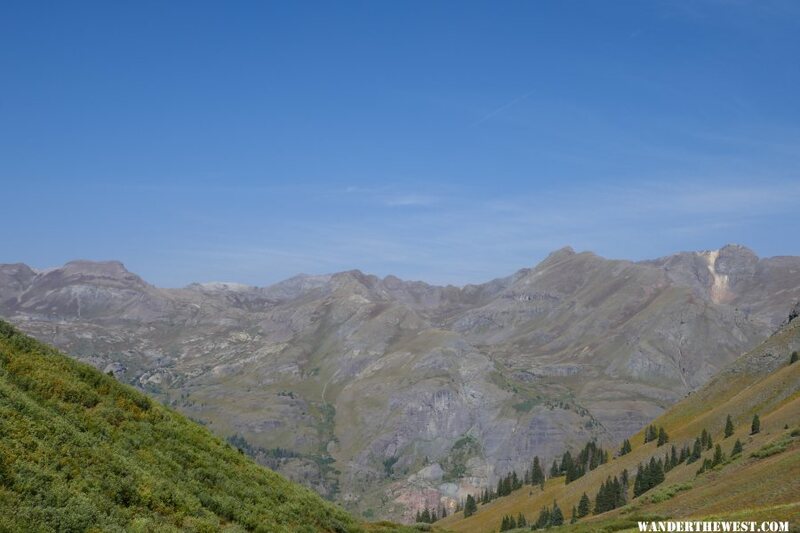 Highland Mary Lakes Loop hike shares the Continental Divide trail for two miles and is among the best loop hikes in Colorado. This view west shows the high country above Highland Mary Mill , a popular driving destination.